40% of businesses around the world have acquired new customers through social media. Social media can be a powerful marketing tool. When used effectively the potential impact on traffic, leads, and sales can be quite dramatic. 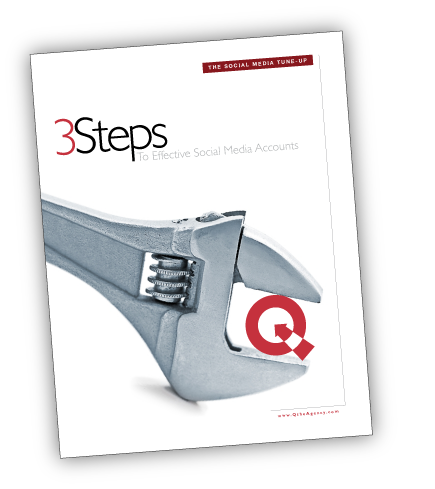 Find out how to fine-tune your business's social media efforts with Quantum's latest eBook, The Social Media Tune-Up: 3 Steps to Effective Social Media Accounts. Learn more about best practices, increasing your exposure, and most importantly, generating leads. Help you gain a clear understanding of how social media benefits your business. Show you how to set-up and best manage your social media accounts. Walk you through the best strategy for using social media to generate revenue growth. To download the eBook, just fill out the short form to the right!